Hamster have added a new title to their Nintendo Switch Arcade Classics Archive range: Nichibutsu's Terra Cresta, which is available to download from the eShop right now. Releasing back in 1985, the vertically scrolling shmup was the successor to their own Moon Cresta, which was a pioneering title in the genre upon its 1980 release. 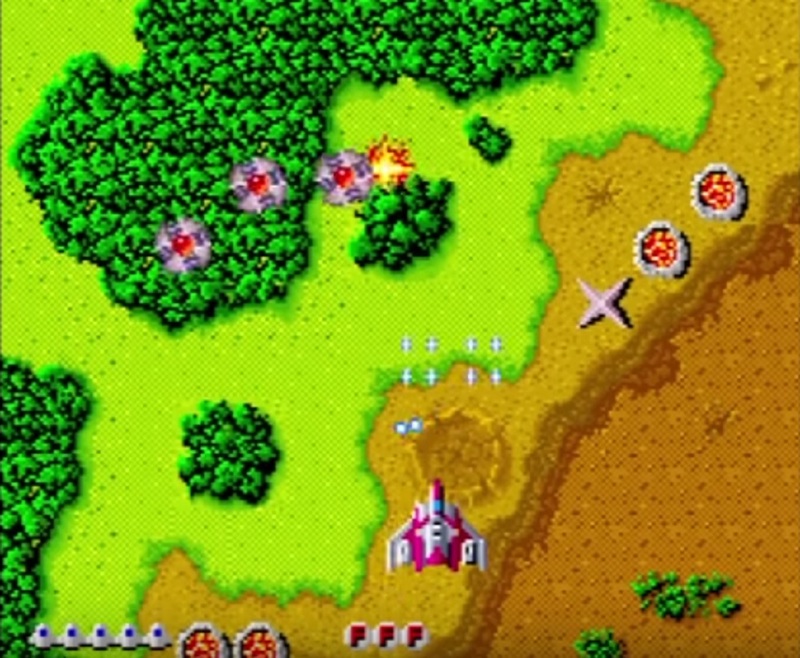 In Terra Cresta, players gun down patterned waves of enemies and bosses, whilst expanding their ship's presence and firepower through the use of attachments, gathered from the unfriendly skies. At any point the player can use these attachments to instigate powerful attacks, with a fully-formed ship transforming into an unstoppable flaming phoenix. It's a really neat and unique feature, especially considering the game's vintage roots. Vic Tokai would eventually port Terra Cresta onto multiple home platforms, I believe I had it on the Spectrum, though it probably found its largest audience on the NES. Back in the arcades, the game would receive a third sequel, Terra Force in 1987. I'm unfamiliar with how well the arcade edition of Terra Cresta plays today, but there is a trailer for the earlier PS4 port below, should you wish to check the game out. Terra Cresta is available to purchase now on Nintendo Switch, priced at around $8.